Welcome to our first ever FIELD PIECE! 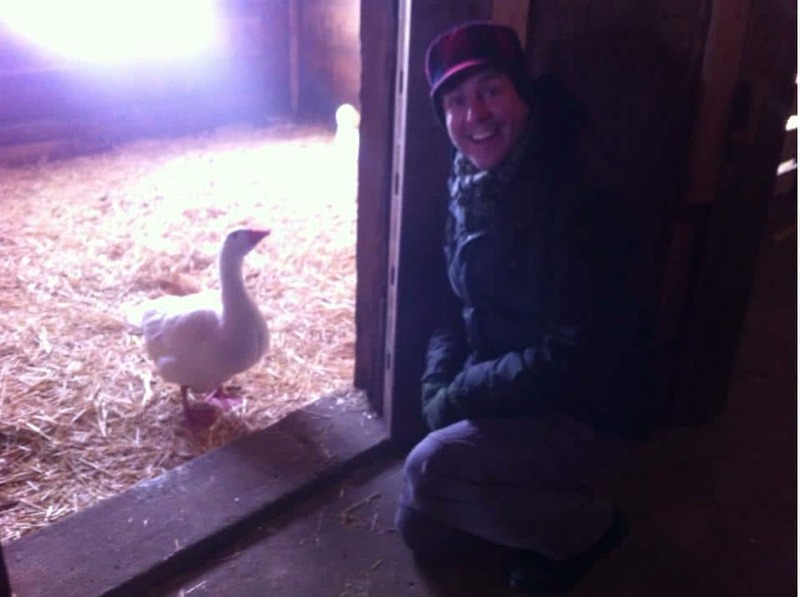 In today’s episode, Ben joined Citizens United For Animals (www.cufa-wi.org) on a visit to the Heartland Farm Sanctuary in Verona, WI. 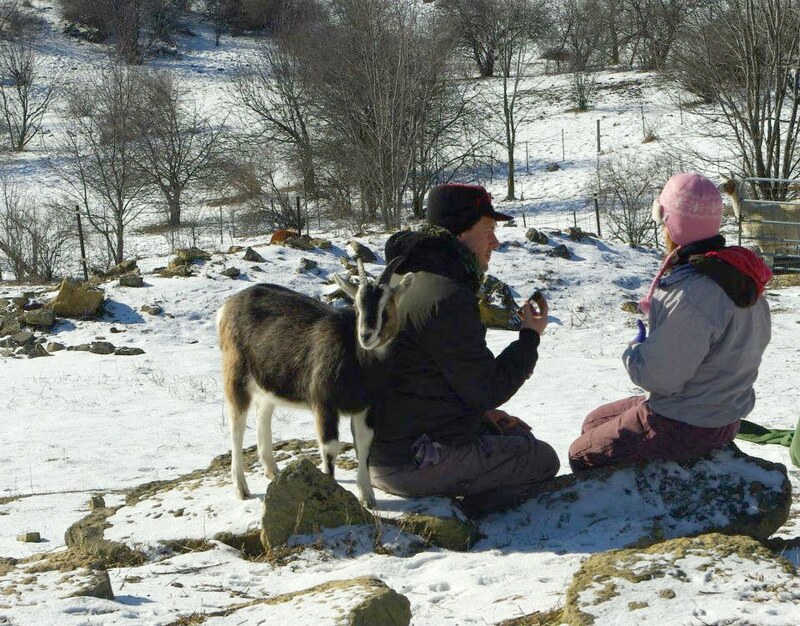 While there, he decided to record a field interview with the barn manager, Sarah Solberg. Enjoy! Please hit us up with any feedback you have, we love hearing from you! As always, your support helps us out a lot! And please help us out by posting a positive review and an excellent rating (5 stars?) of our podcast on iTunes! It really helps us out! 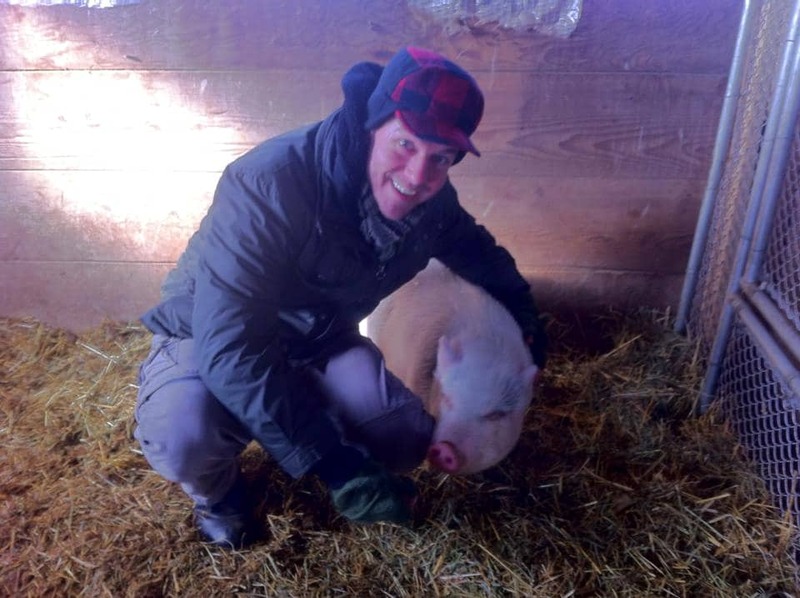 LIKE HEARTLAND FARM SANCTUARY ON FACEBOOK! If you’re in the Wisconsin area, you won’t want to miss this fabulous event at the Madison Marriot West. If you’re NOT in the Wisconsin area, you can still help in many ways! There will be a silent auction with lots of donated auction items. Perhaps you have goods or services that you can donate? Interviewing Sarah Solberg while Zeus stands guard! 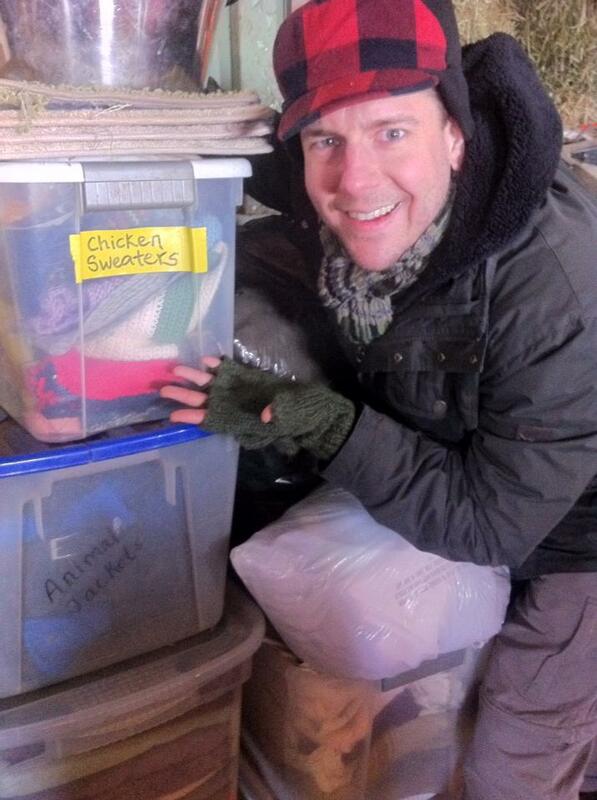 No seriously… They have a storage bin of sweaters for chickens?!? My first animal interaction of the day. QUACK! 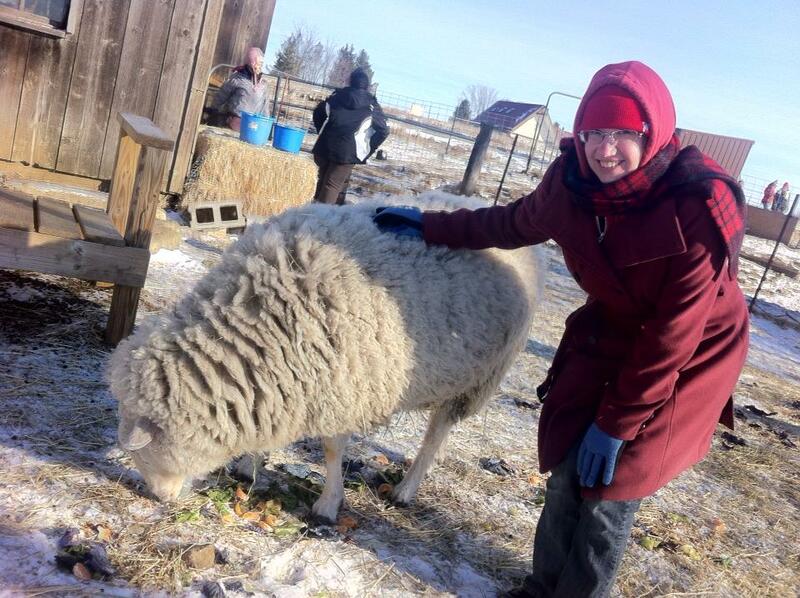 Here is Sara Andrews, and I’m pretty sure she’s with Frances the sheep! 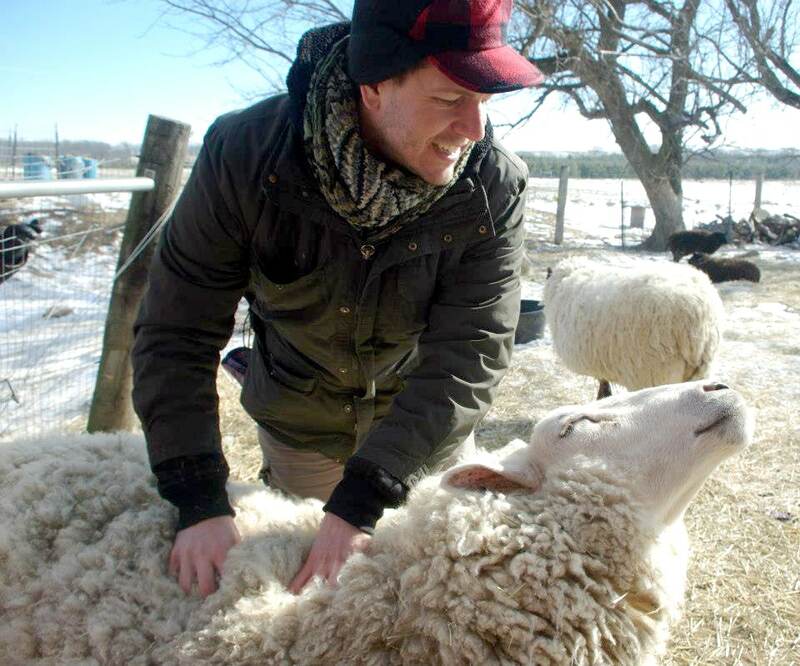 Massaging Frances the sheep. Aww, yeah! I always find just the right spot! 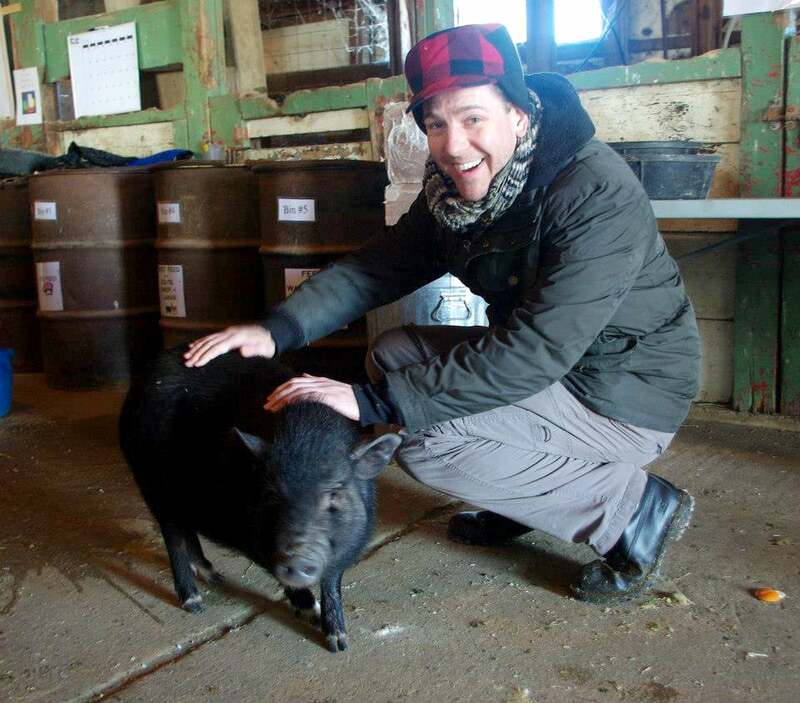 With Lucy, a pig on a food mission! 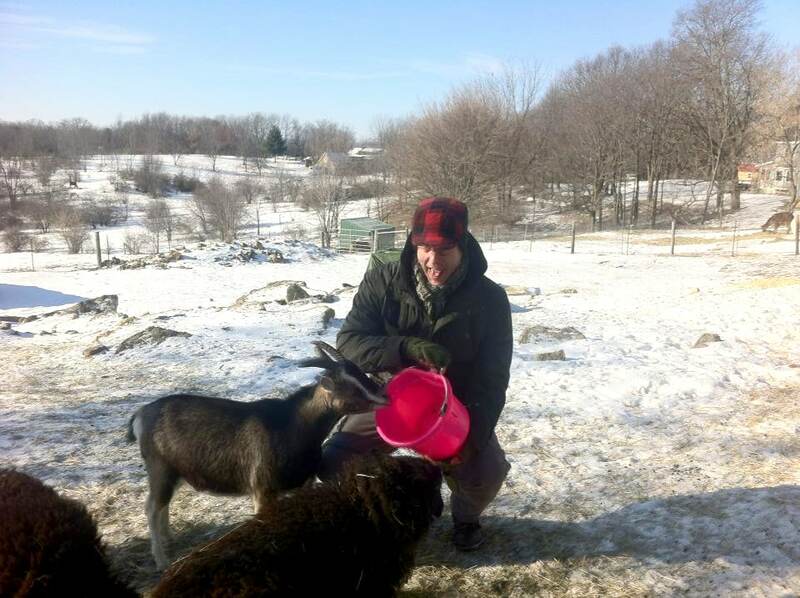 Even after you feed the goats, they think the bucket magically produces salad. If it did, I would so own such a bucket! With Lola in her pen. Guess what was the first thing Lola did right after Sara and I shoveled all the poop out of her pen? ……Yeah, you guessed it. Great show! I hope you make it to the Gala in April! It is a great event and Honey would make it super spectacular!